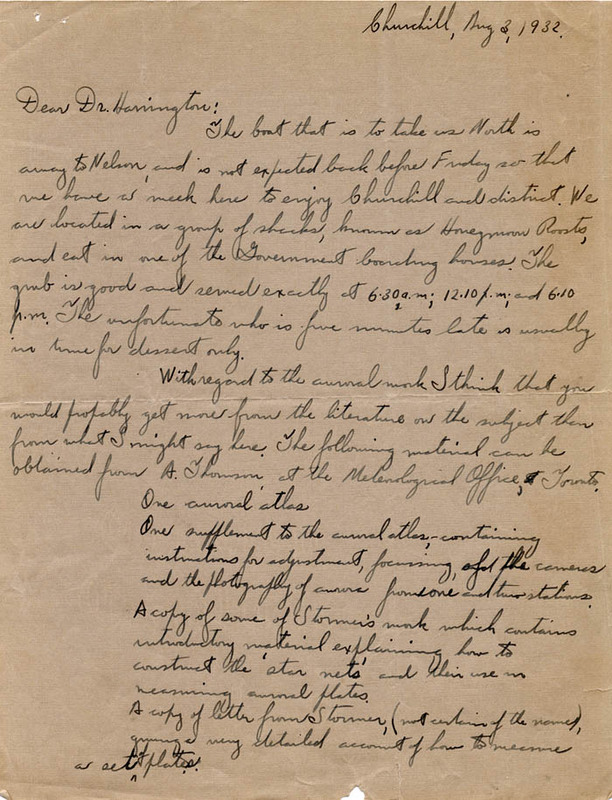 "There was quite a settlement at Chesterfield, which was anything but isolated. 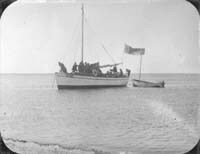 Mission Lake was a major point of contact, especially when ships arrived with supplies. 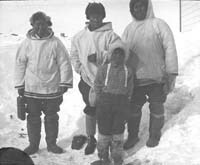 All sorts of people came from long distances, from as far away as Pelly Bay and Baker Lake and the entire region." 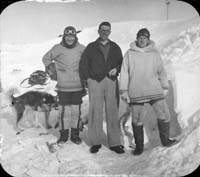 Anglican Missionary Jaines and Unidentified Inuit Helper, Baker Lake. 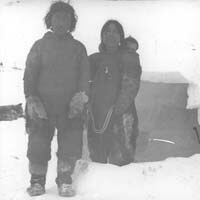 Inuit Family at Entrance to Igloo. was on the extreme right." 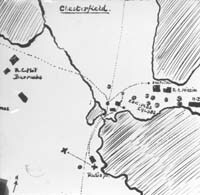 Hand Drawn Map of Chesterfield Inlet. 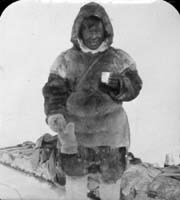 Singatuk in front of Sled. 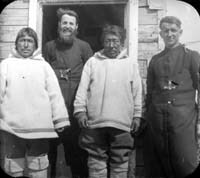 Father Henri, Brother Paradis and Two Inuit [Parishioners]. B.W. 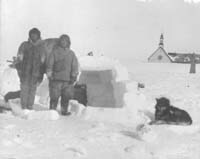 Currie and Unidentified Inuit Man Outside Igloo. We always came away loaded down with tins of fruit and all kinds of supplies, and so did the RCMP and the radio operators. 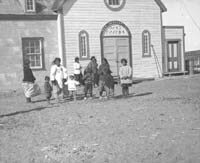 But I had the impression that the Hudson's Bay Company simply gave their men rifles and ammunition and hoped for the best." HB Post: Lofty Stewart, Mac McLeod and [Bob Stewart]. 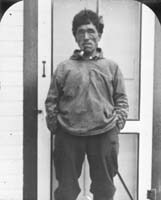 When he was ashore at Chesterfield, Ducharme used to visit us, and we often played poker." 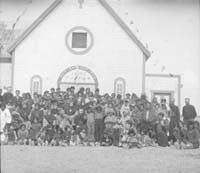 Mission Schooner Ste. Therèsé. 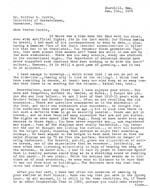 1979 letter from Ducharme.